If you are a victim of domestic violence or if you are the parent/guardian of a minor/disabled victim you may be eligible to register in a statewide database in order to keep your mailing address confidential. 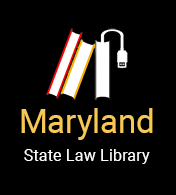 The Maryland Safe at Home Address Confidentiality Program allows the Secretary of State to accept mail, including service of process, on behalf of victims of domestic violence. Victims of domestic violence are allowed to use a substitute address in place of an actual address when interacting with State or local agencies for four years. In order to participate you must fill out an application form and show evidence of domestic violence. Applications may be obtained directly through the Safe at Home Address Confidentiality Program, or through a domestic violence assistance group. To find a domestic violence assistance group or to obtain an application, contact the Safe at Home Address Confidentiality Program at 410-260-3875. Once the application has been accepted, the applicant receives an identification card and a substitute address from the program. The substitute address may be used to receive first class mail and legal papers. Mail such as magazines and advertisements will not be forwarded. Documentation from a religious, medical or other professional from whom the applicant or victim has asked for assistance or treatment. If the person who has abused you has access to a computer that you use, you can keep your abuser from finding out which websites you visit. Consider using a free web-based e-mail account. Your messages are not downloaded to your computer so there is no record for someone else to find. Do not write down your password. Do not ask the system to remember your password. make sure that you are required to enter your password every time you try to access your e-mail. Do not ask the system to remember your password. Make sure all auto-login settings are off. Before you make your phone call to the shelter or other place you don't want your abuser to know about, think of a different phone number that you could call afterwards, and that would probably not upset your abuser if s/he were to find out that you called it. After you call the shelter or other place you don't want your abuser to know about, hang up and then dial the "harmless” phone number. After you do that, if your abuser uses the “redial” feature on your telephone, s/he will only find out that you called the “harmless” number (for example a number that states the time and temperature), and not the number of a shelter or a friend. If you have a cell phone and want to keep the records of who you call private, you may want to make those calls from another phone and not from your cell phone. If your abuser has access to your cell phone bill, s/he could easily find out the phone numbers of the people you have called. If your abuser does not have access to your cell phone bill but has access to your cell phone itself, then you could take the same steps discussed above (for protecting your home telephone privacy) when you make a call using your cell phone.